MacGyver's best friend dies in a mountain climbing accident, and MacGyver heads off to Pete's cabin in the woods to be by himself. After Nikki comes to check in on him, Murdoc arrives with a flame thrower and torches the cabin. Murdoc chases them up the mountain, and they meet on a narrow ledge of The Widowmaker. The climactic confrontation between MacGyver and Murdoc on the Widowmaker and Murdoc's subsequent fall is a classic moment. Always hard to watch the moment where Mike plummets off the mountain. Definitely an impressively filmed scene, however. Uses jumper cables, car battery, and antenna to turn Murdoc's flame thrower backpack into a fireball. Hey Mike, this is not the best place to talk about your relationship status! Why couldn't you have waited until you weren't sitting on the narrow ledge of a two thousand foot mountain? Also should be noted that Mike is played by a different actress than the Mike in Jack of Lies. Add mountain climbing to the list of things that you will not see me doing. Ellard from the general store is a familiar face: we've seen the actor in The Madonna and Faith, Hope & Charity. Great performance by a sullen, defiant RDA, first in conversation with Pete and then later with Nikki. Nice to see him get a chance to stretch as an actor and play MacGyver differently than we're used to seeing. This was the third MacGyver episode I ever saw (came right after Jack in the Box) and I remember being blown away by Murdoc. This episode shows him at his most unhinged: crazy-haired, burnt face, and raging with a flame thrower. His character is also much more one-dimensional in this episode than in Cleo Rocks or Partners and is reduced mostly to one-liners. The whole burning cabin scene is incredibly filmed as flames are exploding all around MacGyver and Nikki. In today's world it would be all CGI'ed up, and it makes me appreciate this scene all the more. 33:50 - a faulty reference from Pete to the "DSX" (should be "DXS"). I'm surprised that I'm about to say this, but I ranked this one a smidge too high, and I don't find myself in a gushing mood and ready to proclaim it as one of the best hours in the history of television like I have in most of the recent reviews. That said, I'd still put it somewhere in my top 30, and it's still a classic and a great episode. Any time you have Murdoc, a flame thrower, a mountain, and a woodsy cabin, I'm in. Wow...you seem a little somber and grumpy tonight! I was definitely expecting some gushing with this review. I was wondering if this one might be your #1 since it combines Murdoc and the woods. It's right up there with "Halloween Knights" on the list of fan favorites. It's high for me but not in my top-10. Murdoc is indeed at his most one-dimensional in this one, but I think we needed him as a maniacal cartoon villain to set the template for his mythology. Of course, nobody had any idea there would be five more Murdoc episodes after this one at the time, but it still is impressive to see where the character went in subsequent outings. The production values really sparkled in this one, and the mountain climbing scenes at the beginning and especially the end when MacGyver and Nikki were hand-climbing were some of the best-filmed and most intense, suspenseful scenes of the entire scenes, all set to some of bounciest and most engaging musical compositions that then-rookie composer Ken Harrison did for the series. Harrison had so many great episodes but I think I might rank this one right behind "Passages" as my favorite of his. Mike's death was also exceptionally well done for 1980s network television, but the fallout of her death was the weak point of the episode for me. I completely got MacGyver's soul-crushing sense of loss and even a bit of his sense of responsibility given the situation, and I thought RDA did a great job of acting to convey that broken spirit, but the self-pity got to be a bit unseemly after awhile. When I watch this episode, I think to myself that I would respond to a situation like that by feeling sorry for myself and shutting everyone out....but I like to think of MacGyver as a better person than me, so when two weeks went by (and half the episode) and he was still unapproachable, it felt a little like overkill. It was good for the series to have this epic moment of bonding between MacGyver and Nikki at this point, forced upon them by Murdoc as it was, as it definitely could have been a believable catalyst for future romantic feelings if the show had gone the direction as planned. Murdoc--complete with a blond Billy Idol look in this one--stole the show though, and did so from the get-go complete with messages on the walls of MacGyver's houseboats seared by a blow torch. Seeing him go nuts with flamethrowers and land mines in the second half really elevated Murdoc's stature as a villain in a way that cemented his long-term legacy on the series. It forced MacGyver out of his slumber as well with the clever battery bomb bit and tapping into the phone line at Ellard's store. I'd say if there was one scene that will go down as the most iconic in seven seasons of "MacGyver", it was probably Murdoc's darkly humorous freefall demise off of the Widowmaker, a scene which undoubtedly put producers in a precarious position because Murdoc had become such a legend with fans after that scene....yet he fell off a 3,000-foot mountain....so how do you credibly bring him back!??! Thankfully they did though and I credit the writers (John Whelpley and Harv Zimmel) and director Mike Vejar for really nailing the imagery in this one. I could have used a little less moping around in this one but I still love it and hold it up as the high point of season 3. I rank it #17. Haha, yeah maybe I am a little grumpy! I don't know why, but I just couldn't muster the same level of excitement for this review like I have been recently, and I confess that I mailed it in a little bit. I'm gonna need some time to pass and revisit it later in order to pinpoint my true feelings. It's still a great episode and one that I loved as a kid, but I guess I just wasn't feeling it tonight. And I agree with what you said about Murdoc - an episode like this where he's just cartoonish and nuts is a good thing for his character because it creates variation and gives him a place to grow. I forgot to mention Harrison's score and you're right, it's great. One point I was going to raise and forgot was a question about Mike: was the implication there that she had done something to commit suicide and that's why MacGyver seemed relieved at the end, like it wasn't his fault? That seemed like what was being suggested, but I wasn't sure what exactly Mike would have done to bring that about, except maybe not tie herself appropriately. And what was the thing you referenced before on a post where fans got to vote on a special collection of 4 episodes? I don't think there was a suicide implication regarding Mike....just that it was an accident brought on by a couple of impulsive decisions Mike made while climbing and some incredibly bad luck with her equipment failing her. It really would have helped if they had gotten Patricia Kalember of "Jack of Lies" back to play Mike, because with the new actress it wasn't quite clear that this was one of MacGyver's closest long-time friends. The new actress was perfectly competent but I definitely didn't make the association back in 1987 that she was the same Mike from "Jack of Lies"...and I was a superfan! Am I on an island in thinking that MacGyver's pity party went on a little too long in this one or did you (or anyone reading) agree with me that by the episode's halfway point it was time for him to move on? 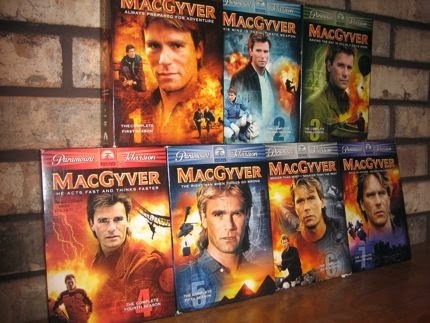 Two or three years ago Paramount released a "MacGyver: Fan Favorites" DVD featuring five episodes and an online poll was taken (somewhere....I didn't participate) on which five episodes should be chosen. I wasn't surprised by any of the five based on my past discussions with fans of favorite episodes. 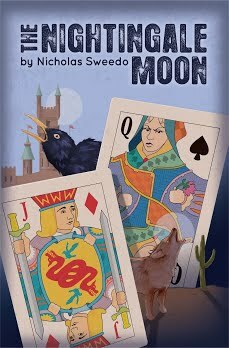 The five were "Phoenix Under Siege", "The Widowmaker", "Halloween Knights", and Parts 1 and 2 of "Legend of the Holy Rose". I felt they chose pretty well as all five episodes were in my top-20. MacGyver's pity party didn't bother me, in fact I liked seeing another side of him even if it wasn't the most flattering. It's a nice contrast/reversal to Early Retirement later in Season 3 when MacGyver is trying to convince Pete that the accident wasn't his fault. I was surprised that was your reaction because I remember in previous reviews you like seeing the other sides of MacGyver like in Lesson in Evil or The Challenge where he's about to lose control, but I can see where you're coming from (the scene with Nikki on the dock does go on for a while). Ah, the truth comes out! Don't worry, though - you're certainly not alone in not having women swoon over you when you're feeling sorry for yourself. I think RDA/MacGyver is just one of those guys who can do no wrong for some women - even when he's being a jerk, he's pulling off the best moment in the series for some fans. That's some natural talent right there! Ironic timing talking about that "MacGyver: Fan Favorites" DVD. There's a gal at work who I've been gushing about "MacGyver" towards for several years now. She's never seen the show but picked up a copy of that Fan Favorites DVD this weekend when she spotted it at the store. Perhaps in a few days she'll be writing her own review of "The Widowmaker" on here! I remember being really confused by 'Mike' when she showed up and trying to figure out if she was supposed to be the same person from a previous episode and not liking her as much. Not that she wasn't good, but my brain didn't like having to adjust the association. I would apply Nick’s customary phrase; ‘a glorious hour of television’, to this episode! Mark was waiting to see if I really liked any of the Murdoc episodes – well this is it! I can’t agree with Mark that MacGyver’s self pity is OTT. I relished (if that's the right word in this exhausting episode) seeing the different, deeply introspective, side to him as Pete describes perfectly; ’Imagine MacGyver with no smile, no light behind the eyes’ and as we all agree, RDA nails it with the acting. Uh oh.. a woman is trying to have one of those conversations which make MacGyver uncomfortable; it's then genuinely shocking when she falls. ( I agree, it is a bit distracting that we have to work out if it’s the same Mike). Some more of my cod psychology but I think MacGyver reacts as he does, and for so long, because it’s a culmination of all the guilt he carries with him for not being there for his mother, his father and his various friends and it tips him over the edge - ‘Friends of mine end up getting hurt’. He also thinks he should have been in control but was found wanting in some way. The Murdoc scenes at the houseboat are truly creepy and Murdoc’s face looks awful in the moonlight. At this stage he’s still into the crazy photo-taking mode which, thankfully, is dropped later. Nikki might have spotted that the helpful stranger at the store was a bit weird but at least she’s more sensibly clad than in GX-1! The cabin flame-thrower scenes followed by the car bomb are great examples of my favourite out-of-the-frying-pan-into the-fire action scenes (almost literally this time) and are magnificent. Pete’s mattress certainly wouldn’t pass the flame-retardant test! The MacGyver fire ball, the telegraph pole morse and the free-climbing are all excellent and we have an intense moment, if its possible to cope with any more, when they find the frayed rope and Nikki can convince MacGyver that it wasn’t his fault and wasn’t something he could have prevented (but maybe, Mike as an experienced climber should have checked her equipment better?). Great drama as Murdoc is swinging back and forth, dealing out mayhem each time and excellent quick thinking from Nikki and MacGyver and an amazing moment as the light really does seem to return to MacGyver’s eyes as he is redeemed from failing to save Mike by rescuing Nikki. Minor points that I enjoyed amongst all the drama; MacGyver says ‘How the heck’ – quite strong for him! His idea of ‘panic’ is also pretty calm compared to mine. How does he balance that crate? I like his ’Bad news’ in response to Nikki asking what the ticking noise (of the bomb) is and Pete sporting quite a cool leather jacket. Phew rather a long comment …sorry! Its in my top 5, at no 4 today, although considering my top 5 do shift around a bit, sometimes I wonder if it’s good enough to be Number 1. Al, have we gotten to your number 1 yet, or is it still on the board? I remember you said the Pilot was also in your top 5. Anyway, I always found it odd that a woman would be named "Mike", altho MacGyver had no shortage of oddly named characters. As I write this, I remember this is the first episode I ever saw, or at least I think it was. I first saw it around age 14 on TV (a 2000s rerun, that is!) and I think after that I saw Kill Zone, which just about solidified it for me. We watched this episode as a family (a rare occurrence), and my dad went out and bought seasons 1 and 2, and eventually 3. After Kill Zone, and maybe a few others, I started with 3, then found 1 somewhere in the house, and then 2. The second DVD of 2 was lost by my sister and wasnt found until I think 7 was out on DVD. Ill always remember those four as "the lost episodes", having went thru all or almost all the series without them. Its good to see another fansite that is very recent. Ive wanted to start my own with a ranking also (goshdarnit! ya beat me), and a list of tags for each episode (eg snow, hockey, forest, christmas, etc), which is often the method I use to pick an episode, having seen them all now. I often feel out my mood and try to remember an episode similar to that. Every christmas I try to watch Madonna (along with Home Alone 1/2, and I tried to add Ghostbusters). When I was depressed recently, I watched this episode to help cheer me up and have some company for my misery. Well, Ive enjoyed what Ive read of your blog so far. Your obsession with the music is a bit kooky, but adds some uniqueness. Ill really have to do a ranking, as Ive always wanted to, and now youve set up a bit of a challenge! Hey Mikey, glad you found the blog and are enjoying it, and good luck with your own rankings! Watching this again, it still irritates me that her name is Mike. I always figured it was the same one, but having different actors always annoys, like with Petes family. Didnt he have three sons? Its a good episode for sure. I gotta learn morse code one day. I know a few letters, but not all. Well there are some women named or nicknamed with male names such as there are men with what is more common women's names. The actress Michael Learned was on the Waltons and she had that name all her life. Mike seems kind of fitting a nickname considering her hobby of rock climbing it it being such a tough thing that mostly men do. I agree about when they bring a character back them changing the actor. It seems more personal when it is the same actor. I saw this episode for the first time today and I like others on here agree about how it seemed overdone for him to keep mourning for so long. I understood it but after a while I got tired of it and his yelling and attacking his friends for trying to help. They showed Widowmaker last night on METV! :) Although they didn't show one of the best parts! Where Murdoc does flips through the mines and does a handstand. Whenever Widowmaker is shown on any stations that part is never shown!!! I don't know why! It's so frustrating. People who never seen that episode is missing out!! I will have to look online for an unedited version of Widowmaker. As far as I know, Murdoc never did flips through the mines or did a handstand. That's a little too showy for Murdoc. Mark can probably tell you for sure, but I'm almost positive this was never part of the original episode. See what happens when they never show it? People forget. Murdoc did do that Highlander. I hope Mark remembers. Yeap!! Another one that I really love. This one just makes me feel so sad. I wish I could've seen more of MacGyver's loss recovery process in a more natural way, and not being interrupted so abruptly by Murdoc. I love Murdoc's character, is just that I'm having a hard time to understand his presence in this episode. Maybe without him, we would have had a soap opera episode instead, and with that, a complete disaster. Who knows, maybe Murdoc was the only one to unconsciously force MacGyver getting back to reality. But, I think that, with MacGyver alone in the cabin, maybe a natural event (rain, flood) could have awaken his survival's skills and bring him back to the "living world". Pete, and Nikki would have been essential in this episode, same with Jack Dalton!!! That would have worked for me :-). Great acting from RDA here...despite of what I said above, I really love this episode, kind of contradictory I know...but I really do.